Good at winning arguments and insulting your friends? Might as well make some money out of it. With an aspiration to stimulate the oratory skills of students and provoke creative thinking, Oculus 2019 organized ‘Just A Minute’. A panel of 6 participants was required to talk on a given topic for 60 seconds without repeating strong words or getting tongue-tied. The JAM master, Pranav Nambiar, challenged the participants with some out of the box topics the they couldn’t possibly have prepared for. Some of them included, “Your wife ran away with your best friend and now you miss him”, “If the government were run by the student council of SPIT” and “Johnny was a chemist’s son but Johnny is no more, what Johnny thought was H2O was H2SO4”. If the participant hesitated, repeated or deviated from the subject, any panelist could raise an objection. If approved by the JAM master, the challenger continued with the subject for the remaining time until challenged again. 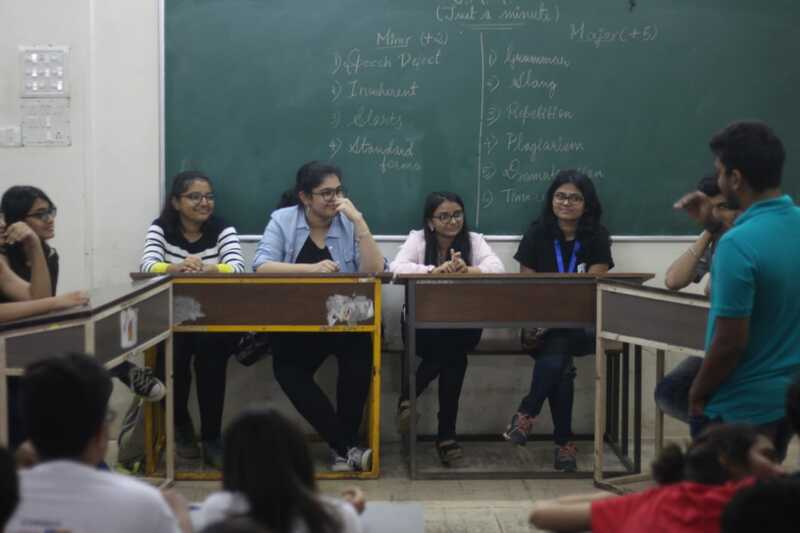 “This was a very fun and unique activity that helped us think under pressure and improved our rhetoric skills,” said Shivangi Kochrekar, panelist. Every second that the JAMmers spoke for, earned them one point. Every valid objection was awarded the designated points. Every invalid objection led to a deduction. With grammar being allotted the maximum points, objections based on slang, wastage of time, plagiarism and repetition determined the fate of the panelists. “We are extremely pleased by the overwhelming response and impressed by the prompt comebacks and sense of humor of all the participants,” said Aumkar Gadekar, organizer. JAM this year was won by Vatsal Shah, NCP. He was followed by Yash Wagle from Jai Hind College. The third place was shared by Shaima Sheikh and Yashraj Mehra from Jai Hind College. Under the leadership of the JAM Master Pranav Nambiar, the two day event gained a lot of participants and set the bar very high for its next edition. Needless to say, JAM provided the ideal platform for public speaking blended with witty humour, effectively contributing to the success of Oculus 2019.